When you’re sick of being second. Been waiting… That day’s coming. We’ve been working & made money…Got nothing to say funny. 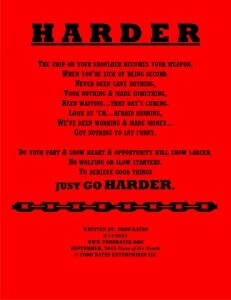 To achieve good things just go harder. 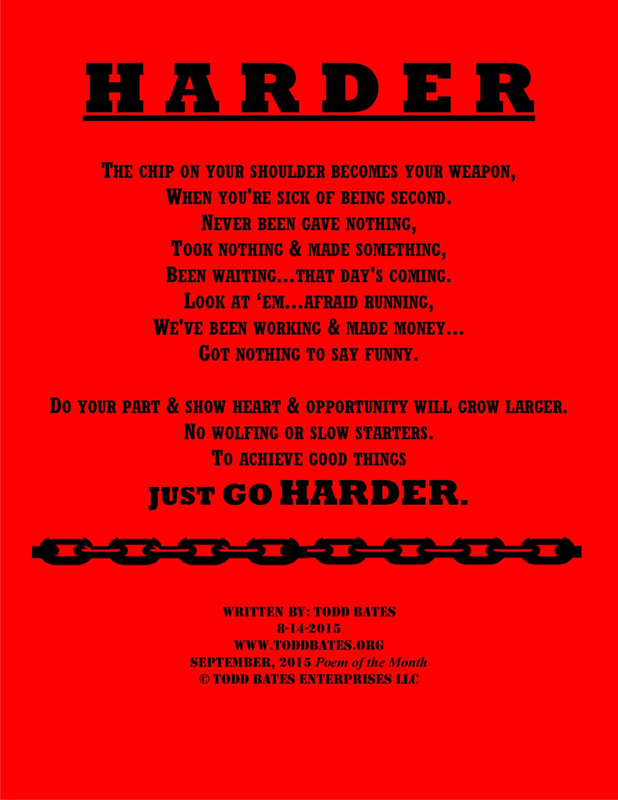 To see more motivational/inspirational poems by Todd Bates go to the Poem Archive page!